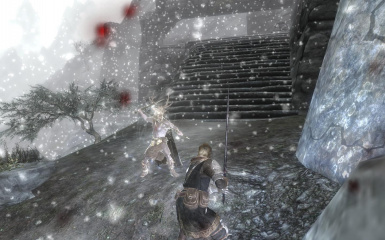 A mod completely improves the AI or skills of most enemies in skyrim and gives you an even more intense experience.And this mod is NO SCRIPTS. 1.Fixed a bug you will learn another dragon aspect shout. 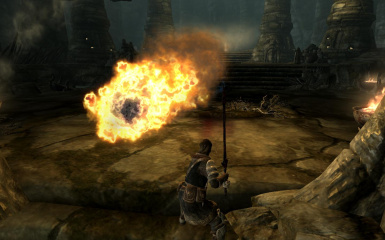 2.Fixed data errors of spell "scorching weapon". 1.Most of enemies can be looted. 2.Most of enemies' resistance is weakened. 3.Most spider enemies' Ai and skills are changed. 4.Add Unique enemies to some Dungeons. 5.Some bosses' Ai and skills are changed. 1.Fixed a bug you will learn another shout after you beat first dragon. 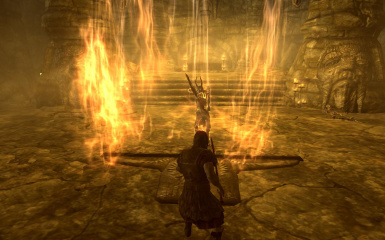 2.Fixed a problem someone could face a ctd when entering into Fellglow Keep or Meridia's Retribution temple. 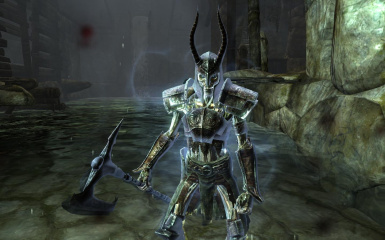 New type of Draugr is added; New type of Draugr Boss is added. 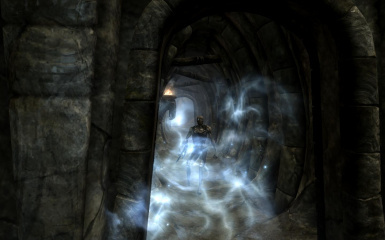 All Draugr is related to player's level; Some of Draugr's perks become dynamic. New type of Skeleton is added; New type of Skeleton Boss is added. 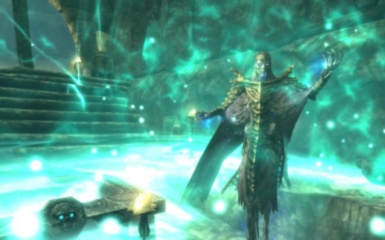 Skeleton is related to player's level; Some of Skeleton's perks become dynamic. All warlocks' Ai is changed; Warlock boss's Ai is changed. New type of Warlock is added. All Warlocks are related to player's level; Some of Warlock's perks become dynamic. Falmer boss's Ai is changed. New type of Falmer Boss is added.New type of Falmer is added. 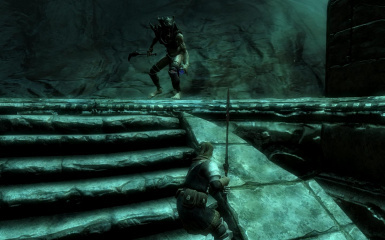 All Falmers are related to player's level; Some of Falmer's perks become dynamic. Spider boss's Ai is changed. Spider's Ai is changed. New type of Spider Boss is added.New type of Spider is added. All Spiders are related to player's level; Some of Spider's perks become dynamic. All Bandits are related to player's level; Some of Bandit's perks become dynamic. All Dragon Priests' Ai is changed. All Dragon Priests are related to player's level; Some of Dragon Priest's perks become dynamic. 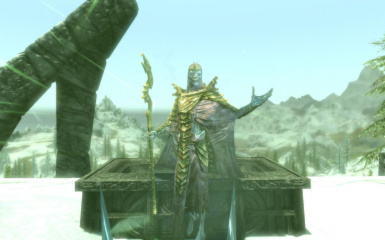 All Wispmothers are related to player's level; Some of Wispmother's perks become dynamic. Dwarven machine's Ai is changed. New type of Dwarven machine Boss is added.New type of Dwarven machine is added. 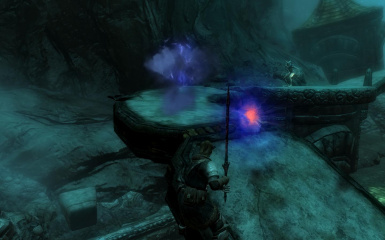 All Dwarven machiness are related to player's level; Some of Dwarven machines's perks become dynamic. All types of Chaurus are related to player's level; Some of Chaurus' perks become dynamic. 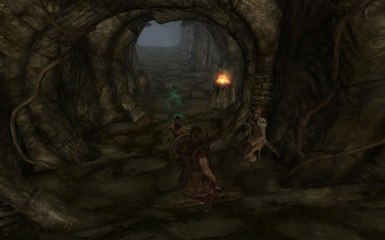 Spriggans are related to player's level; Some of Spriggan' perks become dynamic. New type of Ash Spawn Boss is added. All Ash Spawns are related to player's level; Some of Ash Spawn's perks become dynamic. New type of Atronach(Enemies) Boss is added. 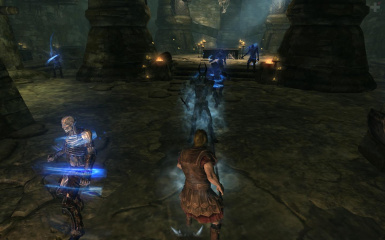 All Atronachs(Enemies) are related to player's level; Some of Atronach(Enemies)'s perks become dynamic. New type of Ghost is added. All Ghosts are related to player's level; Some of Ghost's perks become dynamic. 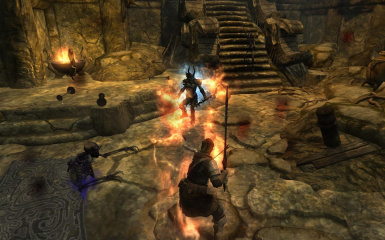 All Reavers are related to player's level; Some of Reaver's perks become dynamic. New type of Gargoyle Boss is added. All Gargoyles are related to player's level; Some of Gargoyle's perks become dynamic. New type of Daedra(Enemies) Boss is added. 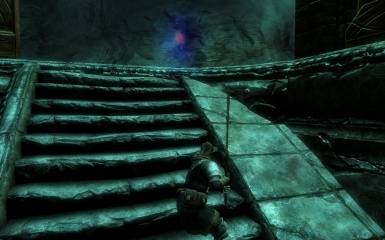 All Daedras(Enemies) are related to player's level; Some of Daedra(Enemies)'s perks become dynamic. New type of Ice Wraith is added. 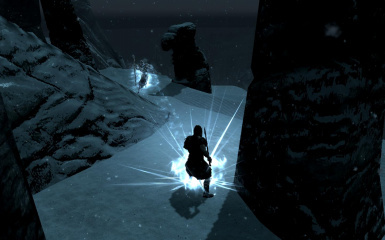 Some Ice Wraiths are related to player's level; Some of Ice Wraith 's perks become dynamic. New type of Hagraven Boss is added. Some Hagravens are related to player's level; Some of Hagraven 's perks become dynamic. Forsworn's Ai is changed. 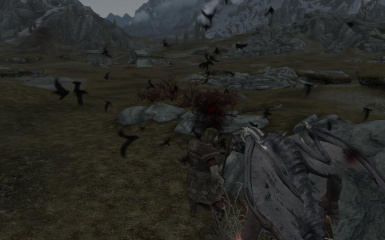 Forsworn Boss's Ai is changed. 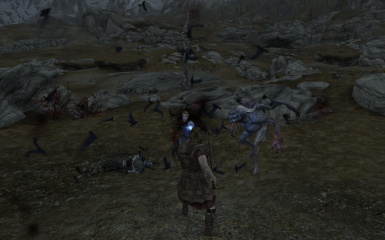 New type of Forsworn Boss is added.New type of Forsworn is added. 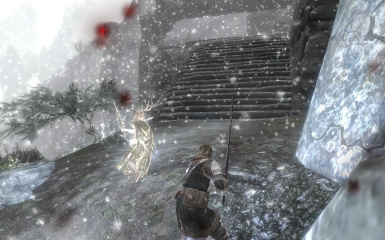 Forsworns are related to player's level; Some of Forsworn 's perks become dynamic. Magic Anomaly is related to player's level; Some of Magic Anomaly 's perks become dynamic. Most NPCs(Enemies) are related to player's level; Some of NPC(Enemies)'s perks become dynamic. Add Ai and skills to unique boss, and following is a list. Maybe some details lost and you will find them in the game. If you're tired of the boring battle of the original game, the mod will be your best choice. It changed the way of the enemy fights, improved the enemy's AI, strengthened the enemy's cooperation, and gave the enemy new skills. This mod is almost no script, and you don't have to worry about CTDs caused by script errors. The mod has been tested hundreds of times, it also has a good balance while strengthening the game's difficulty. Please try "revenge of the enemies 2016" and get a new game experience. Enemies become much more intelligent. Different kinds of enemies use different skills and power. VAMPIRE BECOMES BATS! DRAUDR USES POWERFUL SHOUTS! AND SO ON. Different places will have unique special elite enemies. It should be surprise to you guys. The bosses of original game sxxk because most of them are indistinguishable from common enemies. 60+ bosses with their own unique characteristics are waiting for you. Most of the enemies are related to your level and their abilities are dynamic. It is difficult to appear "One Shot" now. And different enemies have different level cap. You don't worry that the game is too hard or too easy to you. HOWEVER, THERE ARE 5 FIXED HIGH LEVEL ENEMIES IN THE GAME. If you are a long-time player of this mod, please check this column and it will tell the difference between Rote 1.95 and Rote 2016. Some enemies' attack speed is amended. Enemies' cast time become longer. 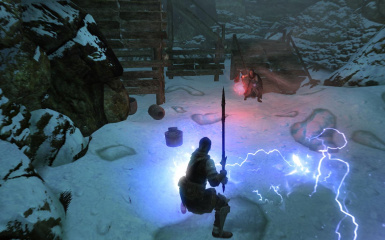 Most enemies' level become dynamic. Most enemies' damage become dynamic. Almost half enemies' skills have been changed. Add new type of enemies. And A NEW GAME is recommend for you. Special thanks to BigHeaded and Brodual. Notice: It's just an old review of the mod. And you will find more details in the game. It's compatible with almost all combat mods, such as ultimate combat, deadly combat, combat evolved. It's compatible with mods which modify perks, such as sperg, ordinator, perma, and so on. It could overwrites mods modify enemies and leveled lists. 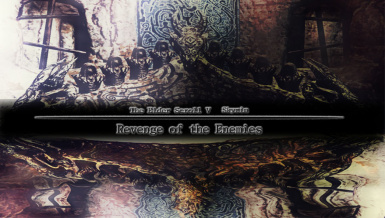 You can load "revenge of the enemies" after them or make Bashed Patch.